Engage with Intel visionaries and learn what your company can do now to prepare for a successful future in our increasingly data-centric world. Gain exclusive access to details from Intel engineering and technical leadership on Intel’s strategy and vision for future technologies. Ask your toughest questions, share your best practices, and provide feedback to Intel experts and industry innovators. Learn how to leverage Intel’s full product portfolio to advance your business and successfully meet the needs of your customers. Gain thoughtful insight into how your business can be positioned for growth in a smart, connected world. Participate in Breakout Sessions to learn about the trends, product roadmaps, and customer solutions most relevant to your business. Meet one-to-one with your industry peers in private Matchmaking sessions and develop winning solutions & business models together with Intel. Explore the Partner Showcase and see what Intel and your industry peers are doing to advance technology and create new customer solutions. Create new connections and build upon existing relationships with Intel’s diverse and extensive Partner network. 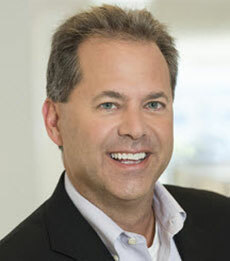 Greg is Vice President in the Sales and Marketing Group and Director of Global Scale and Partner Programs. He is responsible for the worldwide strategic direction of our Distribution, Solution Providers, Intel Technology Providers, Customer Support, and our Inside Sales Groups. Prior to his current role, Greg was Vice President and Director of the America’s Regional Sales Group responsible for driving revenue and design win activity across North and South America. Eric Thompson is the Global Director of Online Sales Center. 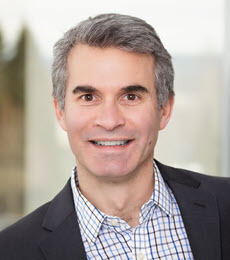 He is responsible for the Online Sales Teams in each region that cover broad market customer engagement and development across PC, Datacenter, and Internet of Things OEM’s, Platinum and Gold Intel Technology Providers and end customers in strategic growth verticals. The Online Sales Center provides design support and product development services and capabilities to thousands of customers globally who develop their device designs on Intel Architecture and sell systems and solutions in the markets they serve. The organization utilizes modern inside and online methods to effectively support thousands of Intel customers’ needs, in the ways they want to be served, in more than 100 countries and in 40+ local languages. Eric’s joined Intel in 1993 as a Retail Channel Manager and has spent time in Product Marketing, Distribution Marketing, North America Geo Director of the Reseller Channel Organization and most recently led the America’s Online Sales Center. 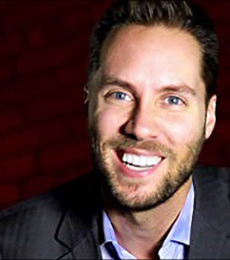 Jeremy Gutsche is "an intellectual can of Red Bull" (Association Week), award-winning author and management consultant to brands, billionaires and CEOs. Gutsche is the brains behind Trendhunter.com: the #1 trend-spotting site in the world. With contagious enthusiasm, Gutsche shows audiences how to use methodical innovation to generate ideas and kick-start creativity during times of change. With phenomenal speed, Gutsche has grown Trendhunter into a trusted showcase for "what's next" in marketing, design, technology, and other categories. (It attracts roughly fifteen times more page views than its competitors and has been viewed over two billion times). Jeremy Gutsche is the winner of The Cisco Innovation Excellence Award and the BDC's Young Entrepreneur of the Year Award. He possesses a unique perspective on innovation in the business context, and draws on his background in both corporate strategy and Web 2.0 to provide you with inspiration and tools to generate ideas, stimulate creativity and unlock potential. At 28, as one of Capital One's youngest Business Directors, Gutsche led his team to grow a billion dollar portfolio of market leading products. His first business book, Exploiting Chaos, won an Axiom Business Book Award, was named an Inc. Best Book for Business Owners, and was a #1 bestseller on the 800 CEO Read list. His second book, Better and Faster, was a New York Times bestseller, #1 on Amazon and a CEO Read "Select" book for CEOs, entrepreneurs, and managers. He holds an MBA from Queen's, is a CFA, and studied innovation at Stanford's Graduate School of Business. Learn how your company and Intel can become better together. Intel Partner Connect Matchmaking provides opportunities for you to meet with Intel and our most valued ecosystem Partners in private sessions (one to one or one to many) . This is your chance to collaborate with peers and meet like-minded Partners who can understand your business challenges and opportunities. We encourage all Partners to participate in Matchmaking and take advantage of this time to meet with key innovators, discuss solutions and new business models across a range of topics, and build lasting relationships. The Partner Showcase is your opportunity to view, demo and interact with the most innovative technologies Intel and our valued Partners have to offer. There will be ample opportunity to speak with experts from each company, network with Partners across various industries, and gain insight into future technology trends. Interested in hosting a booth and sharing your technology at the Intel Partner Connect Showcase? Visit our Sponsorship Page for more details.